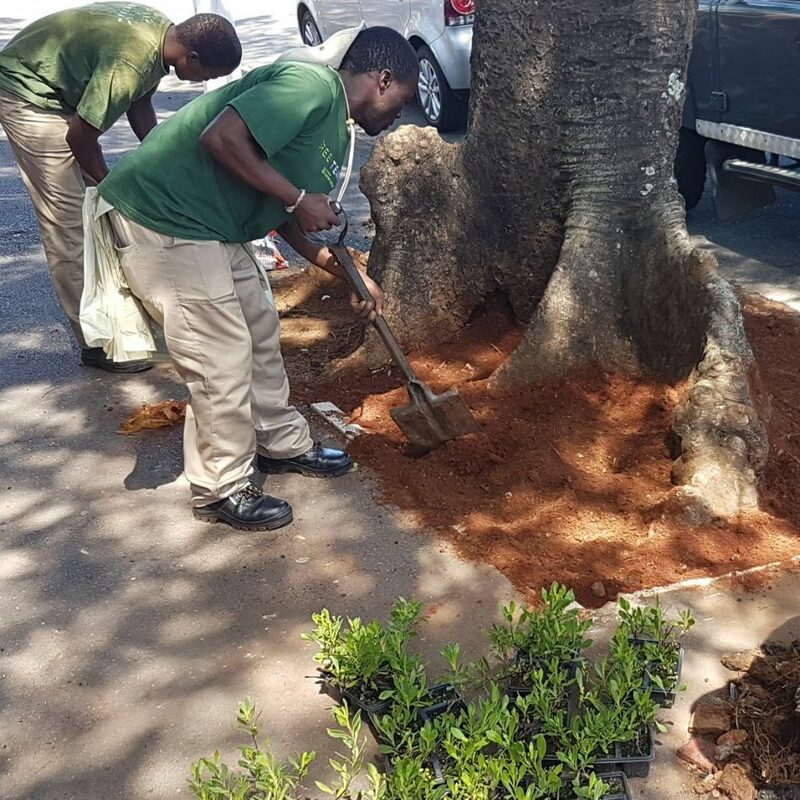 Ahead of the Autumn weather, the Florida UIP Green team replanted the tree bowl’s in front of Headstart Salon. Thank you to Cecilia Gumede from Fresh Flowers for the suggestion to plant Osteospermums ( aka African / Cape Daisies). We look forward to seeing them flower.